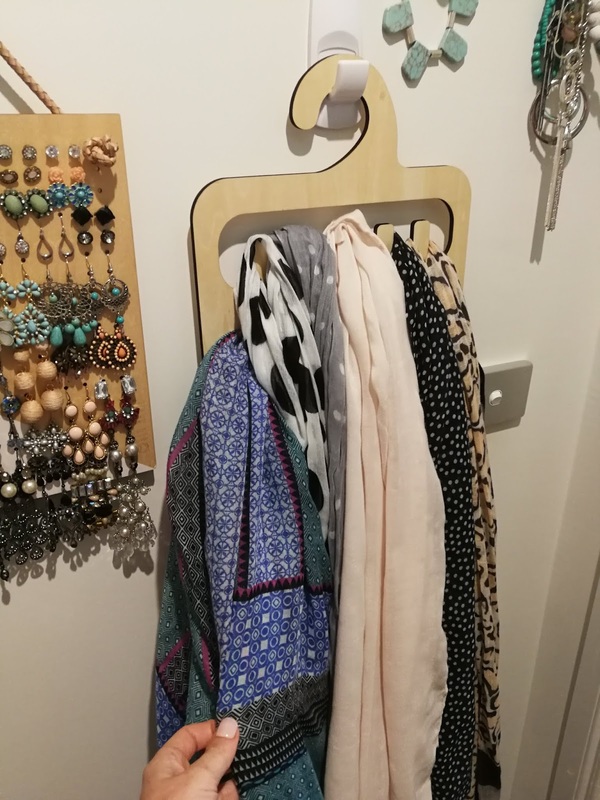 If you have a slightly more modest collection, then the hanger also comes in a mid and mini size above - and in loads of different colours and designs too! 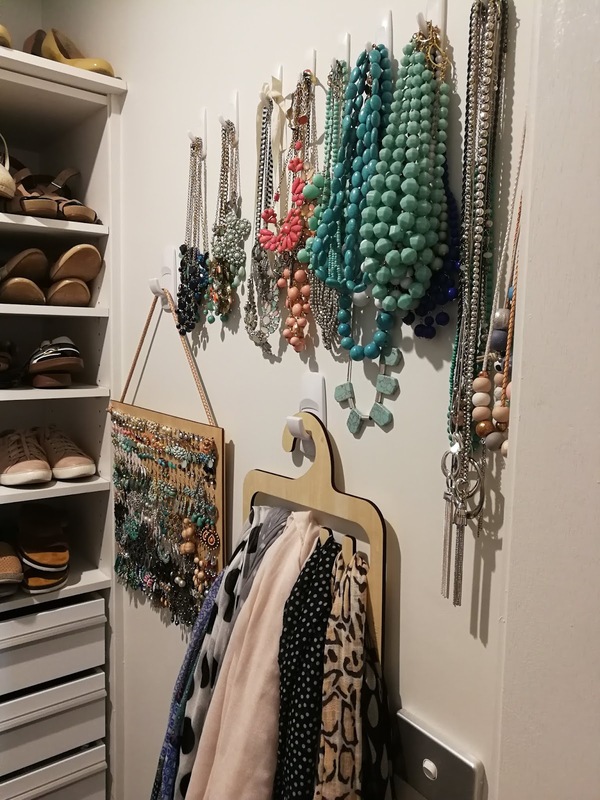 If you're unsure about what size will best suit you, the lovely folks at Bon Maxi have put together a little page to help which you can read here. Next up I used the Necklace Organiser from Bon Maxie. 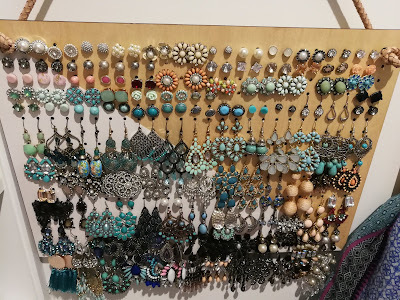 I have nicknamed it the 'everything holder' because seriously this can be used for necklaces, belts, hair accessories, ties - EVERYTHING! With 11 generous sized slots, I decided to use this for my scarf collection and it is perfect! If you didn't want to have yours out on display, this fits perfectly over a wardrobe rail and is super sturdy. 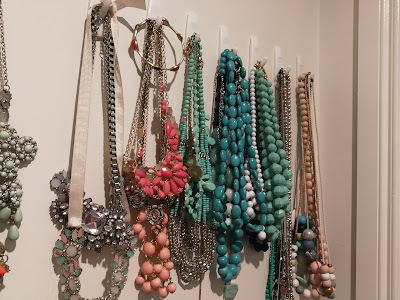 Nothing fancy about 3M hooks, but they were perfect to create a practical, visual display for my necklaces. I have quite a few, as you can see, so I opted for a hook that could hold the appropriate amount of weight and spread them across the wall. I have tried to group in colour to make it easy when selecting what to pop on in a rush. How much? The 3M hooks can be purchased in a variety of sizes and at a variety of price points. Check out Kmart or Bunnings. I am desperate to get my hands on some Bon Maxie Goodies, is there a cheeky reader discount?! 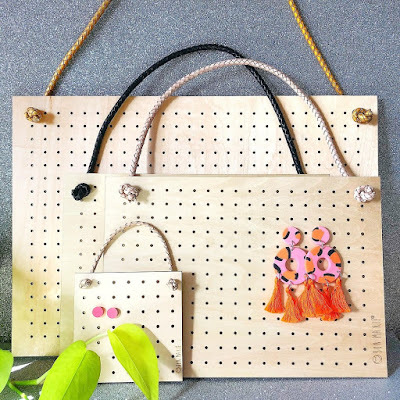 With Christmas just around the corner, Bon Maxie products would make a fantastic little gift for your accessory loving friends or family members - or just for you!! I would personally certainly advise the outdoor area Stone and Yellow sand staff to any individual. Luke and his staff are extremely expert within both their function along with their strategy. Absolutely nothing was excessive difficulty and the final result looks amazing. We are more than content with our magnificently converted backyard. Thanks a lot Luke!